Yes, you heard him: moose pig. First sighted in 1802, the Beast of Dean- or the more affectionate ‘moose pig’- is an enormous boar. 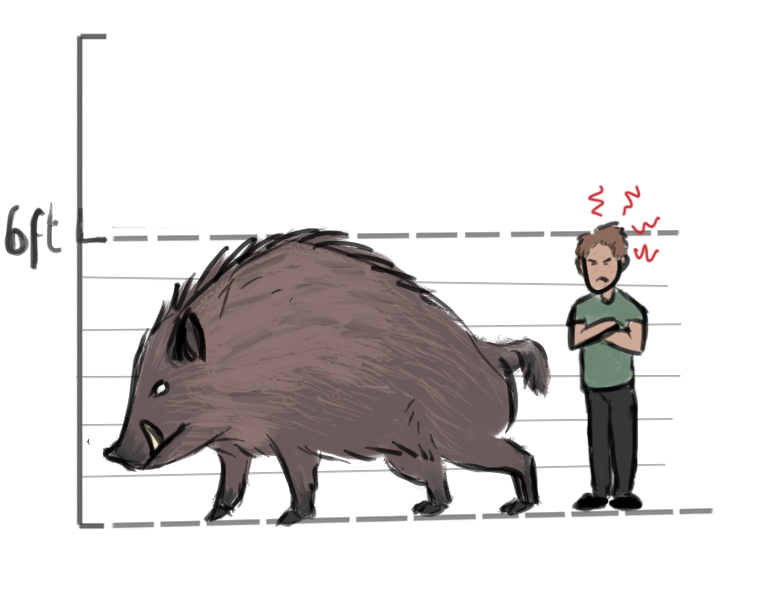 Normal wild boar get pretty big, but not large enough to knock down trees and crush fences, as this little-known cryptid is reported to do. Claims range from ‘the size of a cow’ to ‘large dog’, and having an ‘unearthly roar’. Until this week the most recent sighting was in 2008. However, a recent spate of reports means Jesper and I will be going to the Forest of Dean to investigate, much to his delight.